Does religion bring peace or war? In order to discuss this fundamental question, it is essential to reflect upon religious education that shapes the views of religion among young generations. 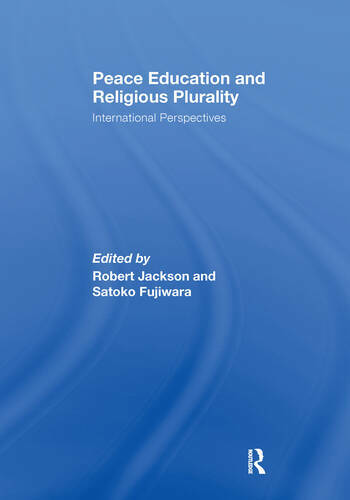 This book has developed from the special panel on "Religious Education and Peace" for the 19th World Congress of the International Association for the History of Religions (IAHR), the largest international organization in religious studies, which took place in Tokyo in March 2005. Its international contributors discuss the kinds of religious education used for peace education that is attempted or needed, in their respective societies faced with tensions and conflicts, not only between different religions but also between religion and secularism. This is the first book in the field that includes both Asian and Western writers (from Korea, Japan, Indonesia, Israel, Germany, Spain, UK and USA). It is an innovative attempt to build a bridge between the study of religion/religious education and peace education.